According to Costa Rica Labor Law, in addition to the Social Security Health Insurance, every employer must buy a Labor Risk Insurance (in Spanish Seguro de Riesgos del Trabajo) in which all workers must be included. This Insurance provides coverage to employees for any accident happened to them while at work or in their route from their homes to their workplace or back from their workplace to their homes. It is usually paid by year, but it is possible to paid also by quarters or half year. Most of the times is a lot cheaper than Social Security Health Insurance. (It is an obligation to have both). It is important to make clear that both of them are very important. Some people believe that Labor Risk Insurance is more important because it covers any accident while the employee is at work. However, it must be remind it that a worker may also have an accident while he is not at work and that is covered by the Social Security, not by the Labor Risk Insurance. Therefore, if the employer is not paying the Social Security and the employee has an accident on a weekend and repairing his roof (for example), the Social Security will charge the employer for any treatment provided to the worker who is not included in the Social Security payroll. Very often the cost of this treatments are very high, so, it is worth to pay for the Social Security. Not to mention that not buying any of these will mean high fines and penalties if you are catch. In the same way, if for example the worker's wife have a baby or one of the employee's child becomes sick, Social Security Administration will charge all medical treatments to the employer who is not paying the Social Security for not having that worker included in the Social Security Payroll. We can give you a lot more of examples, but be enough for now to say that it is highly advised to buy both insurances, regardless of what some people will tell you on the Street. But Just having both insurances it is not enough. It is very important to make sure that the worker is and was included in the list of employers at that time in which any accident happens. 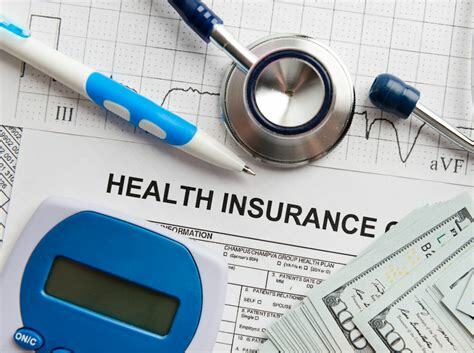 Otherwise, even if the employer is paying the insurance, the worker will not be covered and the Social Security administration or the Labor Risk Insurance Administration will charge the employer for all the treatments and medicines, in addition to the Social Security and the Labor Risk Insurance costs. This is why, once the employer buys these insurances, it is important to report immediately the list of workers and, as soon as he/she/it hires a new worker, it is important to report it to both administrations. It is also very important to know that, if the worker is included but, at the time of any accident or sickness, a payment is due and unpaid, the employer will have to pay for any treatment and medicines in addition to the respective due payment. If the payment is made after the accident or sickness, even so, the employer will have to pay for it, in addition to the cost of the insurance. Until recently, in Costa Rica the Insurance business was a government's monopoly. The market is now open to other companies, but, at least at the time in which this article is written, only the Government Insurance Company ( I. N. S.) is authorized and selling the labor Risk Insurance. In consequence, as of today, all employers must buy the insurance from such company. ( www.ins.go.cr ). As it was said above, most of the times, the cost of this insurance is lower than Social Security. For the Labor Risk Insurance the employer (not the worker) must pay a percentage of the worker�s salary. It may be paid once a year or by half year or by quarter. If for example you pay for the whole year, you still must present reports every month with the list of workers and its monthly payments. If at the end of the year you had less workers that for what you paid, the I. N. S. will reimburse you the proportional part. If you had more workers or higher wages than initially reported, they will charge you for the difference. The cost of the Labor Risk Insurance varies depending on the kind of labor and its risk. There is a specific percentage for each kind of occupation. We are inserting below a chart or list with the last approved rates per occupation.